Want to support local businesses, artisans, farmers, and more? Check out the final two Denton Community Market Days of 2018, on Saturday, Nov. 17 from 9 a.m. to 1 p.m., and Saturday, Nov. 24 from 9 a.m. to 3 p.m. at Historical Park of Denton County. Denton Community Market includes 114 different local businesses and vendors alongside 27 local farms and farmers, with products ranging from paintings to woodwork, and organic vegetables to raw honey. Since its inception in 2010, Denton Community Market has grown to be one of the largest recurring events in Denton, bringing together members of the community from all walks of life. This year, it finished second in the “Best of Denton 2018” awards from Denton Life & Fun in the “Best Community Event” category. After the event on the 24th, the market will be off for the winter, returning in April of next year. The final two events will continue to incorporate local food trucks and performers alongside the merchants for a full day of local fun. Admission, as always, is free to everyone. If you love theatre, you won’t want to miss this show. 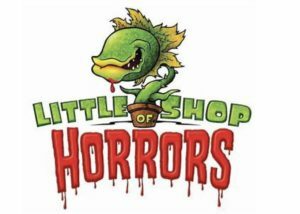 The Denton Community Theater live at the Campus Theatre in the Denton Square is proud to present its production of “Little Shop of Horrors.” The show continues its run Saturday, Nov. 17 through Sunday, Nov. 18. Come support the local arts community while watching a great spectacle. The show follows Seymour through his passion for plants and his complicated love triangle. As a certain plant creates its own agenda, the plot thickens. Tickets can be purchased at the door but it is recommended to purchase online at the Campus Theatre website to ensure you get a seat to the show. For more information click here. If you have a passion for singing and performing or enjoy watching others do exactly that, then UPC has the event for you. 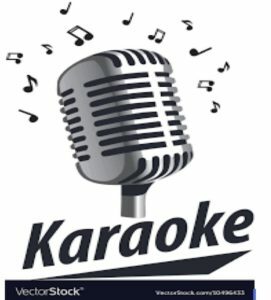 Come out Monday, Nov. 19, at 7 p.m. for Karaoke Night. Select from hundreds of songs available or search for the one you have in your heart. UPC will take care of the rest. The event will be held in the Syndicate inside the Union and is not limited to students. All are welcome. The only thing missing from the stage is you! November’s edition of Denton Wine Walk is scheduled to take place on Wednesday, Nov. 28, from 6 p.m. to 9:15 p.m. at the Downtown Square. For only $10, Denton Wine Walk participants can visit over a dozen local businesses in Downtown Denton, receiving a sample of wine at each stop along the way. Your wine glass is your ticket, and 400 VIPs who buy a ticket early are guaranteed a monthly commemorative wine glass. As part of its mission to support local businesses, Wine Walk has a goal of featuring wine from Texas wineries in at least 80 percent of participating shops. Wine Walk is a fantastic way to visit local shops that one might not normally frequent for the first time, with the added benefit of a glass of wine while one browses. 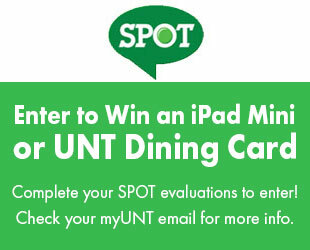 Those who visit at least six stops along the way are entered into a drawing at the end of the night to win prizes. The night ends at East Side Denton where the prize drawings will be held and local food trucks parked. If you catch yourself enjoying jolly Christmas tunes all year long, listen up. The Denton Holiday Festival Association will host the annual tree lighting on Nov. 30 from 5:30 p.m. to 9:30 p.m. It’s time to pull out those cute Christmas sweaters and pop over to the Denton Square for soft, twinkly lights and the sweet aroma of warm wassail. This event is free to everyone who loves the spirit of Christmas and friendly community. Come sing along to carols and watch ballet performances. Be sure to bundle up, so you can enjoy the live, local music and food options available. This perfect date night will not only provide couples with a sweet memory, but toys donated will benefit Elves Shelves, which provides help to families in need during this holiday season. Don’t be a Scrooge and come on out! May your Hallmark desires come true. Know every word to all Christmas songs imaginable? Love light exhibits and Santa Claus? You should check out Gift of Lights at Texas Motor Speedway. Grab some of your closest friends for opening night on Nov. 29 at 6 p.m. 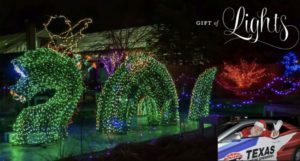 This fifth annual event allows Christmas enthusiasts to experience a two-mile light show with over 500 light displays. You can tune into the well-known Christmas carols on 94.9 KLTY during the light show. There are varying prices for vehicles, but tickets for most cars and trucks are $30. Kids have the opportunity to take pictures with Santa, ride a train around a miniature course, have their faces painted and maybe even get a balloon animal. A portion of every sale benefits partnering charities, like the Ronald McDonald House. The last day to enjoy Gifts of Lights is Dec. 30, so check it out before it’s too late. For more information click here.